It stands to reason that once SHTF takes place then the wonderful Federal Communications Commission ‘pulls the plug’ so to speak on communications by John Q. Public. But can they? If the gun control issue didn’t paddle their fanny then nothing will. Oh yeah, they have all the hams is a convenient database on their little web site but what about the radios? The antennas? What are they gonna do, outlaw copper and aluminum? And trying to find all the radios already out in the hands of John Q. Public is going to be nearly as futile as collecting all the guns in America. Okay, the SHTF and they have started collecting radios and jamming the airwaves and they think they have everything under control. Or do they? Have it under control that is. Lots of folks are going to imagine the SSB, FM, and AM signals will be the ones the government goes after first and maybe it will be given that most people are more comfortable with voice communications. The government types will most likely dismiss the other modes available to hams such as CQ, RTTY , and the hot digital modes which you will come across on certain portions of the HF bands. These odd sounding, sometimes melodic sounds you encounter when scanning across the HF bands, and even the VHF/UHF bands in some parts of the country, could play a key part in communications during government enforced blackouts. So what are these modes and how on earth can a survivalist or prepper figure out which of then to listen for? 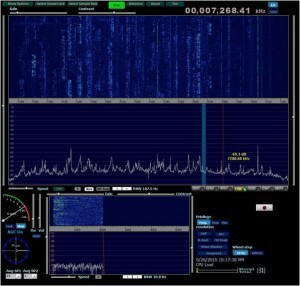 Well, hams that are active in these modes can tell by the look of the signal as they see it displayed on their computer screen. Experienced operators can tell the sounds of the digital modes but they rarely have the speaker active because it doesn’t have a real purpose in digital communications so it is left off. Everything is done son something called a “waterfall” which is basically a screen showing a portion of the band in this display that looks like it is full of ‘snow’ like in the olden days of television. The digital signals all have a distinct pattern on the waterfall and you can soon pick out the more popular modes such as PSK, RTTY, and a few of the other popular digital modes. To receive these modes you need a radio (shortwave or ham transceiver ) capable of receiving SSB signals. All digital communications on HF ham radio are done on the SSB mode; the software is basically just sending sounds over the mike circuit of the radio. For reception of these digital signals you would only need to run a wire from the speaker port of the radio into the microphone port of the computer. Now for the software, I wouldn’t advocate you spending money on software when there are some really good freeware programs out there. Some are dedicated to multiple modes while others are single or dual modes (digital modes) only. The only advice I can give you is to try out the software and see what fits you the best. Software that I like may just piss you off to the point where you think I don’t know what I’m talking about. So go ahead and try several out till you find the one, or ones, that suit your needs and purpose in digital radio communications. Ham Radio Deluxe pre-v6 was free but quite taxing on computer which would be hard on the battery if you are running a laptop. There are many freeware applications available through the AC6V (ham operator) web site. No use copying them and putting them all here when you can right to the source, plus the content will be fresher. The link to the ham software is: http://www.ac6v.com/software.htm. FLDigi and several others are very good multiple mode applications but, again, find one that you like the most and stick with it. Everyone tells me they hate the software I use (MixW) not because it is harder to use but I have over 10,000 contacts on it so I am comfortable with it to say the least. Now, there are some really cool modes out there that will blow you away with the way they work. These modes were originally designed for moonbounce operation where hams use long antennas and big amps to literally bounce signals of the moon to other parts of the world. This same software has been pressed into service for the HF bands and can do some phenomenal work with very little power and less than stellar antenna systems. I have worked guys in deed restricted areas of the country who are running 10 to 15 watts into a few pieces of wire hanging from a tree. That should make the survivalists out there take note, small transmitters, a laptop which you would be carrying anyways, and a chunk of wire you can string between trees or enclosures. All that stashed in the BOB or BOV. The software for JT65 is available for free from: http://physics.princeton.edu/pulsar/K1JT/. There is a bit of a learning curve to the software, mostly because it is simplistic but once you get the hang of it then it is ‘simple to use’. WB8NUT has a great page listing the modes and a small audio file on each so you can hear what they sound like. You won’t need anything other than a web browser to hear the sounds. His page is at: http://wb8nut.com/digital/. KB9UKD has some materials that are off the beaten path as the saying goes, including offbeat things like Formula 1 racing cars. Check his site out at: http://www.kb9ukd.com/digital/. 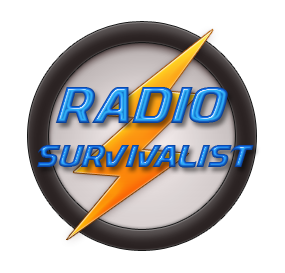 While this page in the RadioSurvivalist.com blog is in any way a complete outline of the digital modes of communications available to survivalists I hope it will become a place where you can start your learning experience concerning the digital modes of amateur radio.